We have all been in contact with nurses. Everyone, at some point, needs a nurse. This simple fact underscores two simple truths. Firstly, nursing is one of the most noble professions one can decide to join – and it can also be one of the most fulfilling. Secondly, because every person needs a nurse at various points in his or her life, the demand for nurses is consistent, and even growing. There is a huge demand for nurses across the country, and for those who choose to pursue a degree in nursing, there are numerous professional opportunities, a booming job market, and solid earning potential. Nursing requires dedication, expertise, and passion. Providing care to those in need enables you to make an enormous difference in people’s lives at a time that they need it the most. There are various types of training and education for nurses, and completing a nursing degree will allow you to select a specialty that suits you best. It will also provide you with career advancement opportunities and higher earning potential because of the specialized knowledge you acquire in a degree program. Nursing is an in-demand career all across the United States, so completing a nursing degree gives you the requisite training to succeed in a professional field of broad opportunities and a secure future. Registered nurses (RNs) usually take one of three education paths: a bachelor’s degree in nursing, an associate’s degree in nursing, or a diploma from an approved nursing program. Registered nurses must also become licensed by passing a national licensing examination. Registered nurses work in hospitals, physicians’ offices, home healthcare services, and nursing care facilities, as well as in correctional facilities, schools, summer camps, and with the military. While the exact duties of registered nurses differ, their general responsibilities include providing and coordinating patient care, educating patients and the public about various health conditions, and providing advice and emotional support to patients and their family members. According to the Occupational Outlook Handbook compiled by the U.S. Bureau of Labor Statistics, in 2010 registered nurses earned an average of $64,690 per year or $31.10 per hour. Furthermore, employment of registered nurses is expected to grow 26 percent from 2010 to 2020, faster than the average for all occupations. Growth will occur primarily because of technological advancements; an increased emphasis on preventative care; and the large, aging baby-boomer population who will demand more healthcare services as they live longer and more active lives. A nursing degree, whether at the Associates level or the Bachelors level, prepares you to become a licensed registered nurse and to obtain an entry-level position in which you will be responsible for patient care in various settings. Due to the constant need for highly trained professionals in the healthcare sector in all 50 states, there are numerous job opportunities in the nursing field. Many of these can lead to management and leadership positions should you decide to pursue that road. The Associates of Science Nursing (ASN) program offered by Florida National University (FNU)prepares graduates to become licensed registered nurses. Upon graduation, students will have the skills and knowledge necessary to obtain an entry-level nursing position, and they will be qualified to provide direct care to individuals and families in a variety of care settings. Graduates will also acquire the necessary knowledge and skills to safely practice patient care, as well as those necessary to pass the licensing board examination. This program, which requires a minimum of 82 credit hours, is also available as an online program, enabling students to pursue their education while still remaining flexible to other professional or personal responsibilities. The FNU Bachelor of Science in Nursing prepares students to become professional registered nurses who can competently function in a variety of roles. Students will receive training in areas including health assessment, nursing theories and concepts, research, leadership, informatics and health promotion across various healthcare settings. Furthermore, graduates will acquire the necessary knowledge and skills to safely practice patient care and pass the NCLEX exam. This course of study, which requires a minimum of 120 credits, is also available as an online program. The FNU Bachelor of Science in Nursing – Advanced RN to BSN Degree enhances the education of registered nurses who want to expand their skills and knowledge. Students will solidify their knowledge in areas such as health assessment, nursing theories and concepts, research, leadership, informatics and health promotion across various healthcare settings. The program, which requires a minimum of 120 credits, is also available as an online program. Nursing is such a competitive and demanding field. A large quantity of information is needed in order to take charge of another person’s life without committing errors that can be damaging or even fatal. For this reason, every aspect of your education is crucial. Yet, this also means that what you are doing matters. 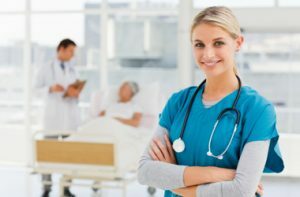 When you understand how serious nursing really is, and you respect your learning process as a trusted professional in the field, it is much easier to understand that the rigors inherent in the educational process are essential for the kind of preparation and execution required of a demanding yet thoroughly rewarding career. Just like any other challenging pursuit, it is important to give yourself encouragement and affirmation. Be proud of what you accomplish and learn. The semesters will go quickly when you engage in your courses with the same passion that brought you to your decision to pursue a nursing career. The Florida National University (FNU) nursing education programs include an Associates of Science, Bachelor of Science – Entry Level, and Bachelor of Science – RN to BSN, and provide you with the appropriate knowledge and skills for receiving your nursing license. FNU’s in-depth nursing curricula offer you the tools necessary to prepare you for an exciting, fulfilling, in-demand and well-paid career as a nurse. Nursing is a rewarding and challenging field with great earning potential and secure career opportunities. If you are considering joining this honorable profession, contact our FNU advisors today to plot your route to success – an exciting and lucrative career awaits you!